LAUSANNE, Switzerland (AP) — The Canadian lawyer who investigated the state-backed doping scheme by Russia when it hosted the 2014 Winter Olympics said the World Anti-Doping Agency rushed into accepting a bad deal by reinstating the country’s drug-testing program. Richard McLaren told The Associated Press he suspected there were “loopholes” in the deal which Russia could exploit to back out of its promises, including the pledge to give access to the Moscow lab sealed by federal investigators. McLaren said WADA also erred by failing to end Russian legal cases in three countries arising from his work. They include former Russian sports minister Vitaly Mutko challenging his life ban from the Olympics. The decision by WADA to reinstate Russia is a key step toward the country’s track and field team being welcomed back to international competitions such as the Olympics. McLaren was appointed by WADA in 2016 to verify claims by Russian whistleblower Grigory Rodchenkov. The former Moscow laboratory director detailed Rodchenkov’s part in corrupting the 2014 Sochi Olympics to help the home team win more medals. In two investigation reports, McLaren confirmed a state-backed scheme to swap tainted urine samples for clean ones through a hole in the wall at the Sochi lab run by Rodchenkov. Russia has refused to uphold McLaren’s findings but recognized the report of an International Olympic Committee panel which shifted blame from state leaders. In a victory Thursday for Russia, WADA agreed to reinstate the Russian drug-testing agency, known as RUSADA, by easing two strict conditions in a roadmap that had seemed non-negotiable: Accept McLaren’s report, and give access to the Moscow lab. McLaren said he is skeptical about WADA’s compromise of setting Russia a Dec. 31 deadline to provide the lab’s trove of raw data, and a further six months to analyze samples that could prove doping by possibly hundreds of Russian athletes. He said Russia could potentially use two tactics to block WADA — consent from the Kremlin-run Russian Investigative Committee, and invoking Russia’s criminal procedural code. The document was key to the eventual reinstatement of RUSADA, but strangely it was on plain paper with no sports ministry letterhead, putting in question whether the written promises are from the author only or the government. If WADA’s demands are not met, the anti-doping agency could restore Russia’s non-compliant status. That could block Olympic sports federations from hosting events in the country. 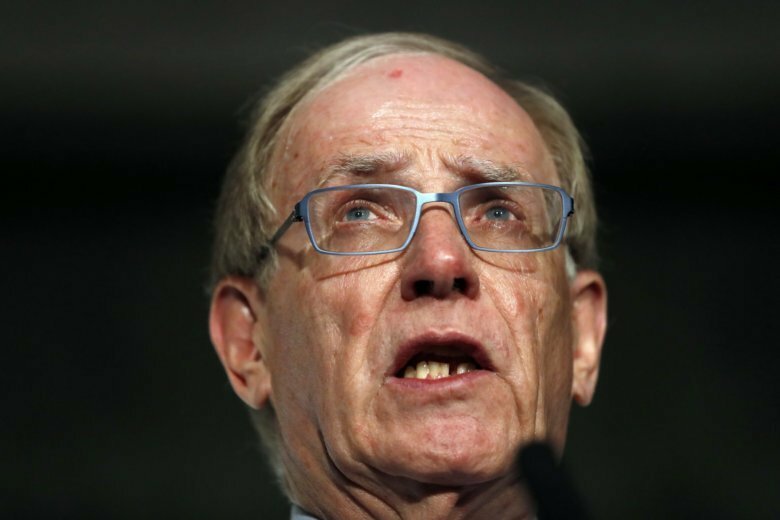 Though clearly disappointed with how some of his findings have been handled, McLaren pointed to improved investigations at track and field’s governing body, and ongoing doping cases in biathlon and cross-country skiing.